Your website should captivate your prospects into investigating more about what you offer, or even better, becoming a customer. It is useless to have a beautiful site that your users or search engines can’t navigate. 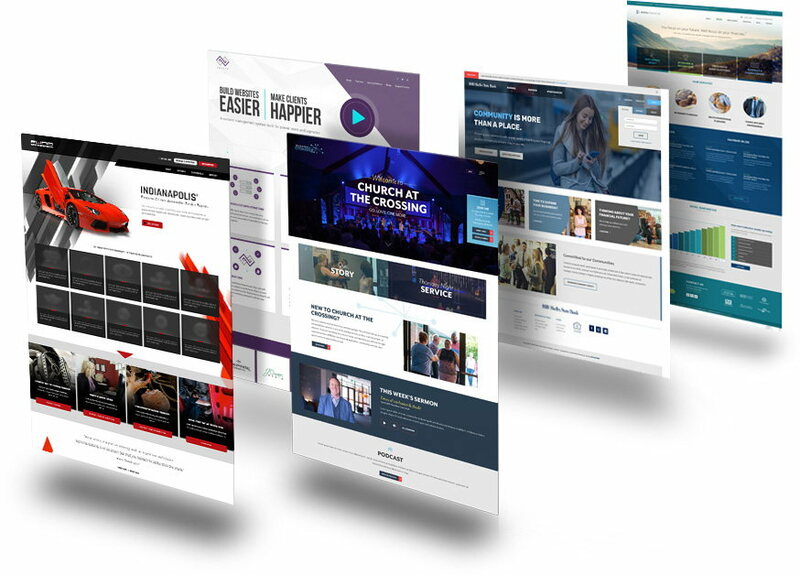 We believe in beautifully designed sites that produce results. We specialize in creating stunning websites with great UI/UX and technical SEO best practices. Website design and development go hand in hand. When you invest in a website revamp or enhanced user experience, you create a product that pays dividends for years. Too many websites suffer from a lack of focus. As the window into your company, your website is the central hub of all your inbound marketing efforts. You only have a few seconds to grab a prospect’s attention, so whatever is placed on your site should have a purpose. Your website should showcase your most engaging content so people stay hooked and come back ready for more. Your company needs a website that drives leads and sets you apart from your competition. Our process is designed to reach your company goals and get you the results you want. First, our team will perform an overall website audit including your current keyword strategy and technical SEO. From here, we collaborate with you and provide suggestions for improvement and together, we will build a strategy. Next, our team begins building the bones of your website or "wireframe" design and new content so your dream website can be better visualized. Once you've approved, we will move into the creation and implementation of the design and copy on your pages. Our process is very interactive and transparent - you will be involved every step of the way. In this phase, we will collaborate to ensure your website functions properly, and will be "staged" for testing and optimization. Finally, we will launch the finished product, however our services don't stop there. For a great website requires constant optimization. We continuously monitor the success and improve the site based on analytics.